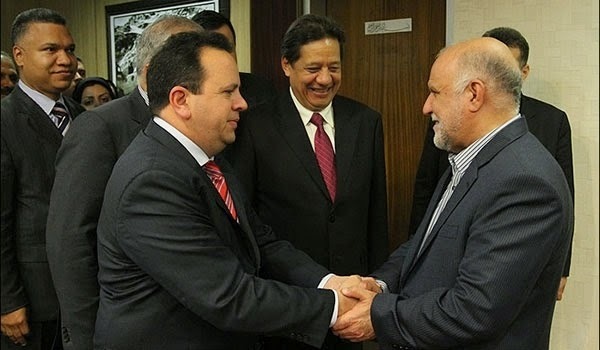 Venezuelan Oil Minister Asdrubal Chavez arrived in Tehran on Monday for talks with Iranian Oil Minister Bijan Zanganeh and other ministry officials on oil price crisis. In last OPEC meeting on 27 November, Venezuela pushed hard to curb output to stop the decline in prices, but OPEC decided to maintain current production ceilings. Low oil prices have particularly hit Venezuela hard, with the country on the brink of financial default. Meantime, Brent crude prices hit five-year low on Monday. Today, Brent futures rebounded a bit, but still trading at $66.44 a barrel for January delivery. Asdrubal Chavez's main qualification as oil minister was being born a cousin of Hugo. governments were connections count more than expertise don't long prove effective.